Borrowing has a paradoxical component that can be particularly confounding as you launch your quest for college funding. If you do not have established credit, as is the case with many new borrowers and college-aged students, it can be difficult to secure a loan. Having no credit is better than having bad credit, but only by a slight margin. It is important to protect your credit rating from day one, but at college time your greatest financial successes to date might be paying your phone bill on time, or perhaps managing a revolving credit card account. By all means, put your best foot forward by exhibiting responsible fiscal behavior, but don’t expect banks and credit unions to lend to you without a significant history of positive credit outcomes. In times of need, college students can be forced into high-risk loans that carry hard to manage interest rates. If a loan has terms that saddle you with insurmountable debt, it is counterproductive to your educational mission of getting ahead. Look to these loans as last resorts on your path to college funding. If you already have credit strikes against you, from late payments or defaults, your outlook for conventional borrowing is even more bleak. However, there is good news for students who need college funding, and it comes in the form of no credit-check federal loans. In addition to grants and other financial aid, the U.S. Federal Government administers a program of Direct Student Loans that does not require a long history of pristine credit. Traditionally these loans were guaranteed by the government and issued by private lenders, but today the loans come directly from Uncle Sam - without formal credit checks. Your first step toward landing federal financial aid is to complete a standardized request called the Free Application for Federal Student Aid (FAFSA). The form uses information about your family’s financial situation to determine your Expected Family Contribution (EFC). Once your EFC is determined, it is used to draft an individual Student Aid Report (SAR) that spells out your financial needs relating to college. The SAR is forwarded to universities of your choice, to place you in consideration for whatever student aid is available – including student loans. Filing your FAFSA gets the ball rolling to help you pay for college. Grants and loans are essential components of most student aid packages. Government grants are awarded based on financial need, and the funds don’t require repayment. Needless to say, any grants you can get your hands on provide a major windfall for financing your education. Once your grant eligibility is exhausted, the government might offer you long-term low-interest loans to help meet your remaining college financial obligations. These funds were once called Stafford Loans, but the program is now referred to as the William D. Ford Federal Direct Loan Program. The Direct Loan Program issues two distinct types of loans, those that are subsidized by the Federal Government, and those that are not. Important Change: For Direct Subsidized Loans issued after July 1, 2012, interest will not be paid by the government during the 6-month grace period after you leave school. If the interest is not paid by the borrower, it will be added to the principle balance of the loan. Direct Unsubsidized Loans are available to undergraduate and graduate students, and there is no requirement for demonstrating financial hardship. Interest is the responsibility of the borrower at all times; any unpaid interest will be capitalized. Qualifying for Direct Loans does not require a formal credit check, so this is your best avenue for borrowing if your credit is bad or non-existent. Interest rates are low, currently 3.4% for subsidized and 6.8% for unsubsidized loans, and rates are fixed-so there won’t be any surprises during repayment. Applicants for federal aid do so as ‘dependant’ or ‘independent’ students, which is determined by whether or not parental information is included on the FAFSA. Independent students enjoy higher borrowing limits. As of July 1, 2012 Direct Loan maximum borrowing limits range from $5,500 to $12,500 annually, depending on your individual situation. Perkins Loans are federally funded student loans, which are administered directly by the Institution of Higher Learning you are attending. Perkins funds are reserved for undergraduate and graduate students exhibiting the greatest need for financial assistance during college. Typically, families with annual incomes below $25,000 are eligible for relief under the Perkins Loan program. Not all schools participate in this lending program, so it is important to consult with your financial aid office for availability. Maximum annual borrowing limits for undergraduates currently stands at $5,500, with a lifetime limit of $27,000. 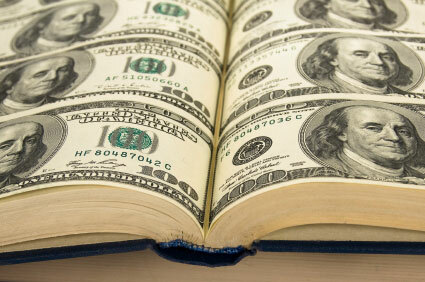 Graduate students may each borrow up to $8,000 yearly, and up to $60,000 over the course of their education. The fixed interest rate for Perkins Loans is currently 5%. State loans for higher education are not available everywhere, but provide valuable resources for students attending college in states that do sponsor student lending. The Minnesota Office of Higher Education administers SELF Loans, which are long-term fixed-rate education loans. The loans serve Minnesota residents pursuing higher education within the state or at out of state schools, as well as non-residents attending college in Minnesota. A credit-worthy cosigner is required under this program, which offers up to $10,000 annually. Another state loan that requires a cosigner is the Dakota Education Alternative Loan (DEAL). If you are studying in North Dakota, South Dakota, Minnesota, Wyoming, Montana or Wisconsin, and all your federal funding options are exhausted, this loan program allows you to borrow up to $50,000 for school expenses. Alaska Commission on Post Secondary Education runs a similar program for state students. To borrow from the AlaskAdvantage program, you’ll need a cosigner and a FAFSA on file. Eligible borrowers enjoy fixed interest rates around 7%. Federal Pell Grants assist millions of financially needy students. You must qualify to benefit, but the money need not be repaid. Countless other private sources issue grants and scholarships. Grant and scholarship programs require no credit checks. In addition to filing your FAFSA for federal help, check with your state government’s education fund. There are often state-based grants and state-specific scholarships for which you may be eligible. If you are pursuing a specialized degree in a high-demand field, such as education or health sciences, you might qualify for aid that specifically targets your profession. Many organizations and professional societies offer grants and scholarships for students who pursue certain careers. Special low-interest no credit-check loans for nurses and teachers come straight from the federal government and state-based sources. For example, the Health Resources and Services Administration issues low-interest loans to nursing students who demonstrate financial need. The program is particularly appealing, because it offers aid at all degree levels: associate’s, bachelor’s and graduate’s. If you are already working as a registered nurse, saddled with student loans that you are repaying, the Federal Government has issued a standing offer that might lighten your load. In exchange for a two-year commitment to work in a critical shortage area, the Nursing Education Loan Repayment Program will pay 60% of your outstanding student loan balance. If you agree to continue employment for an optional third year, Uncle Sam will pick up the tab for an additional 25% of your nursing school loan debt. Similar arrangements exist for teachers, like the Teacher Loan Forgiveness Program and the Teacher Cancellation for Perkins Loans Program. Each rewards teachers for serving low-income students, by paying or forgiving education loan debt. If your goverment-sponsored financial aid doesn’t cover your college funding needs, it might be time to explore your options for alternative or private student loans. Private loans will not be issued without credit checks, so to tap these resources, you’ll need to find a credit-worthy co-signer. A co-signer is someone willing to act as your responsible co-borrower. When someone lends their positive credit rating to your educational cause, you are both equally responsible for repaying the loan. The lender doesn’t care who makes the payments, but if you default on the loan, your co-signer’s credit will be negatively impacted. A cosigner should have a high credit score that offsets your limited credit history, and be fully aware of the ramifications of signing. In fact, before any funds are distributed, cosigners are required to sign a document acknowledging that they know exactly what they are getting into. At times, cosigners are released from loans, once a certain number of on-time payments have been made. This good faith gesture is appealing for the helpful parties who enable your loan, because it removes them from the debt and leaves them in good-standing with creditors. Career Training Loan through Sallie Mae – this is a good example of an alternative loan that offers attractive features for borrowers with no credit or less than perfect credit – provided a cosigner is present. Wherever your student loans originate, it is imperative that you pay them back on schedule. Your limited credit history is bolstered significantly when you successfully manage your student debt. This is a valuable opportunity to establish a positive track record of on-time payments, whether you have a cosigner or not. If your student loan repayment is even slightly difficult to manage, tackle the issue with your lender before it becomes a problem. Consolidating your student loans might place you on a more realistic repayment schedule; one that does not lead to late payments or default. Federal student loan consolidation is available without a credit check to anyone with multiple federal student loans. In some cases you may be able to cut your monthly payment in half by extending your repayment schedule. Federal Direct Consolidation Loans place all your student debt under a single repayment umbrella, so only one monthly payment is required. Loan consolidation is available for your private student loans too. Lenders do not want to see you default on your student loans, so they offer competitive loan consolidation options – sometimes without credit checks. To determine whether or not you are a good candidate for loan consolidation, take our simple self-assessment quiz and find out right now. Whether you consolidate, or adhere to the original repayment terms of your student loans, it is important to manage your debt responsibly.